Blanket Scarves. They're kind of everywhere. 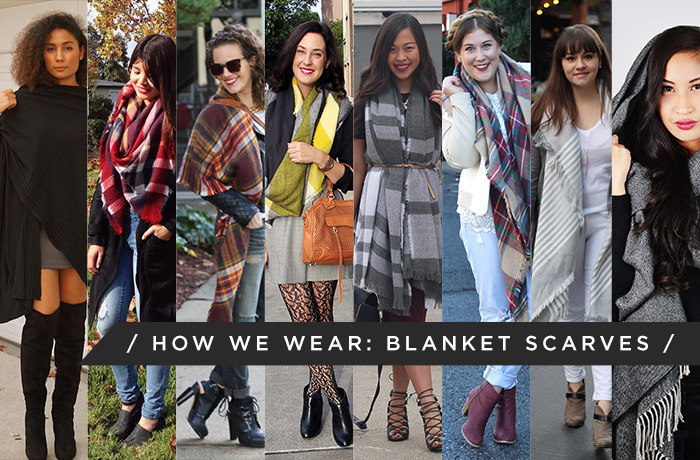 Which is why my stylish colleagues at PMHQ have joined together for another style challenge to show you how we wear blanket scarves! 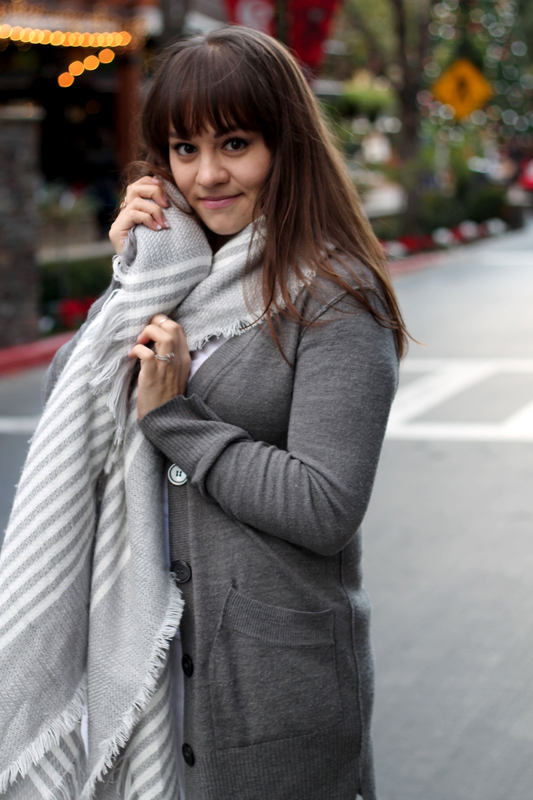 Read on to see how I styled mine and find out how you can join in on this link-up! 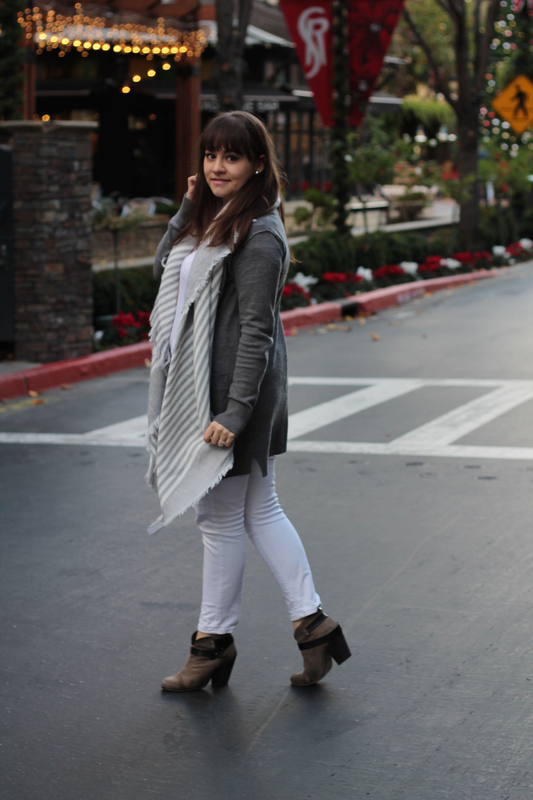 My white skinny jeans have been on heavy rotation this fall. It's very much the opposite of my usual go-to fall colors (e.g. black and grey). 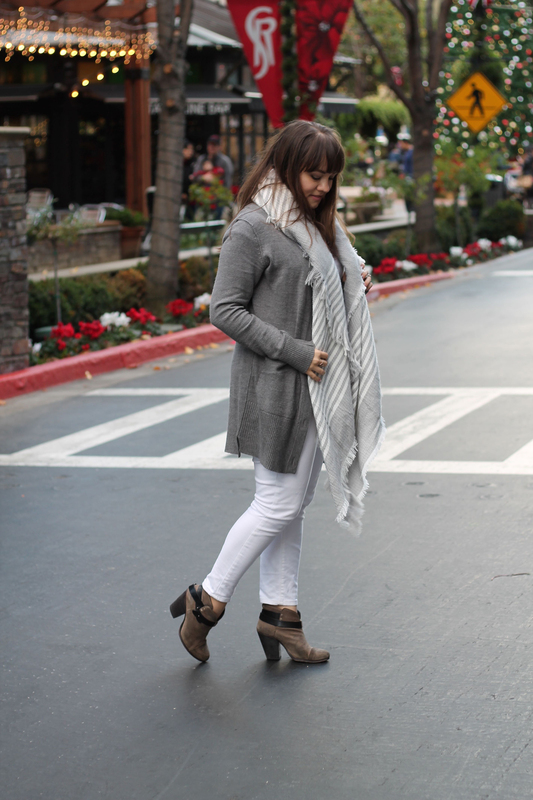 And it just so happens that white denim went perfectly with my light grey and white striped blanket scarf. 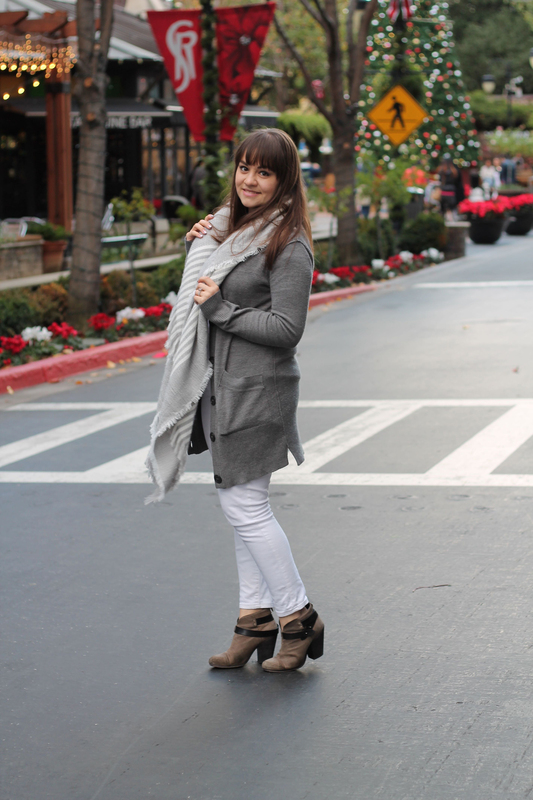 Since the scarf is such a statement itself, I kept the rest of the look simple with a plain white tee, a long grey cardigan, and my favorite booties. I accented the look with a few pieces of simple jewelry and a subtle hue of lipstick. Linking up will help you build more traffic to your blog because it increases your visibility! It supports your blogging community! You’ll discover tons of great new blogs to add to your reader or blogroll! The blog link up is a chance to network and develop relationships with like-minded ladies! Can't wait to see your blanket scarf looks! 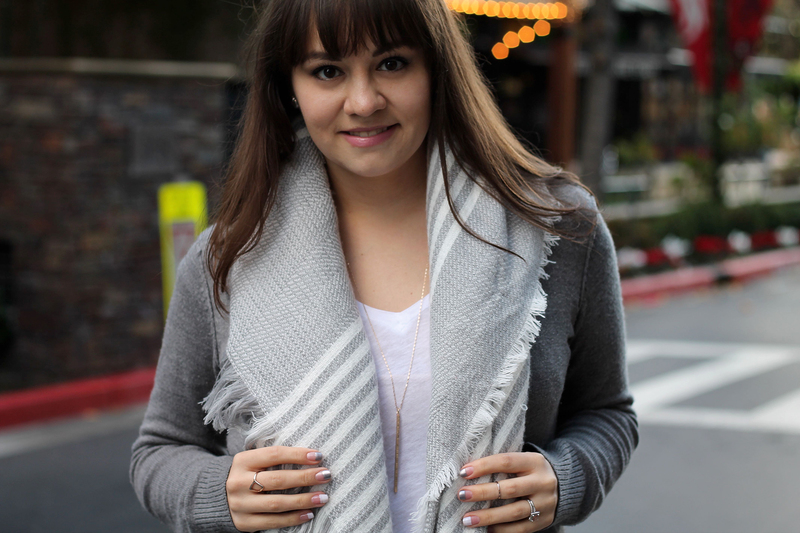 Love the chic gray scarf you have-- looks GREAT with this outfit. Loving the scarf (of course!) and don't often think about wearing white denim this time of year -- it looks great! xo!